The drivers of our vehicles are not ordinary people. They deserve more from their insurance. 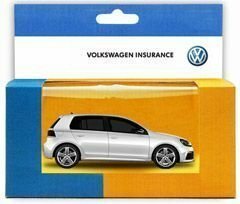 That’s why we’ve worked hard to select the best insurance cover for our customers – a policy that we’re proud to recommend and stand behind when it comes to taking care of the European vehicles that we sell through our showroom, such as our Volkswagen and ŠKODA vehicles as well as our selection of quality used cars, and those from other providers. For another form of protection for your investment, consider Dura-Seal Vehicle Protection. While many insurance policies adopt a ‘conveyor-belt’ mentality when it comes to getting your vehicle back on the road, our insurance option gives you peace of mind and the assurance of quality restoration in the case of an incident. Our cover provides for genuine parts when it comes to repairing our Volkswagen and ŠKODA vehicles to help retain your vehicle’s value, sustain its operating efficiency and keep its life-span when compared to third-party ‘universal’ parts. Rental vehicles are automatically provided in the event of a claim. See us for details. If your vehicle is less than two years old and has been written-off, your vehicle will be replaced with a brand new one. Your No Claim Bonus is protected for life. Our policy is for an agreed value for second-hand vehicles within 12 months of ownership so there are no nasty surprises when it comes to settling your claim. Additional accident costs, such as transport home or to your destination, may also be covered. Our insurance cover also provides for both private and business use. ​Terms and conditions apply. For more information on any of the above contact us today.